"How do we worship in spirit and in truth?" There is no single answer that you can give to that. There are no steps. In short, there is nothing you can do to worship in spirit and in truth, because it is not a matter of what you do but what you become. 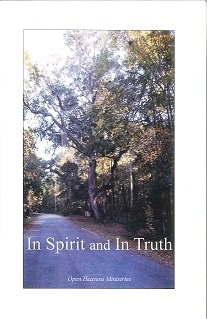 So, how do we worship in spirit and in truth? How do we know if we are? And how do we know if we are not? We begin in John 4:23-24.